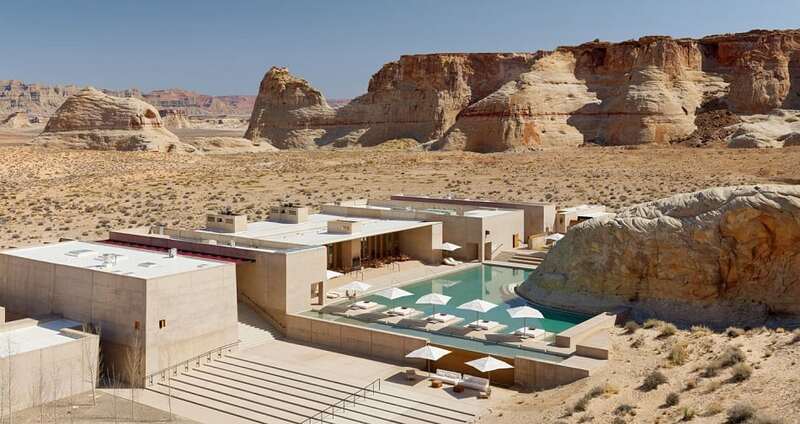 Amangiri Resort offers a peaceful retreat that’s one of a kind. This remote, 5-star hideaway calls the canyons of the American Southwest home. From the sweeping views of the dunes, mountain ridges, to plateaus, this resort will make you appreciate what mother nature has to offer. It’s just the right place to get that adrenaline-fueled adventure. The suites and homes have been designed to embrace the area’s raw aesthetic.